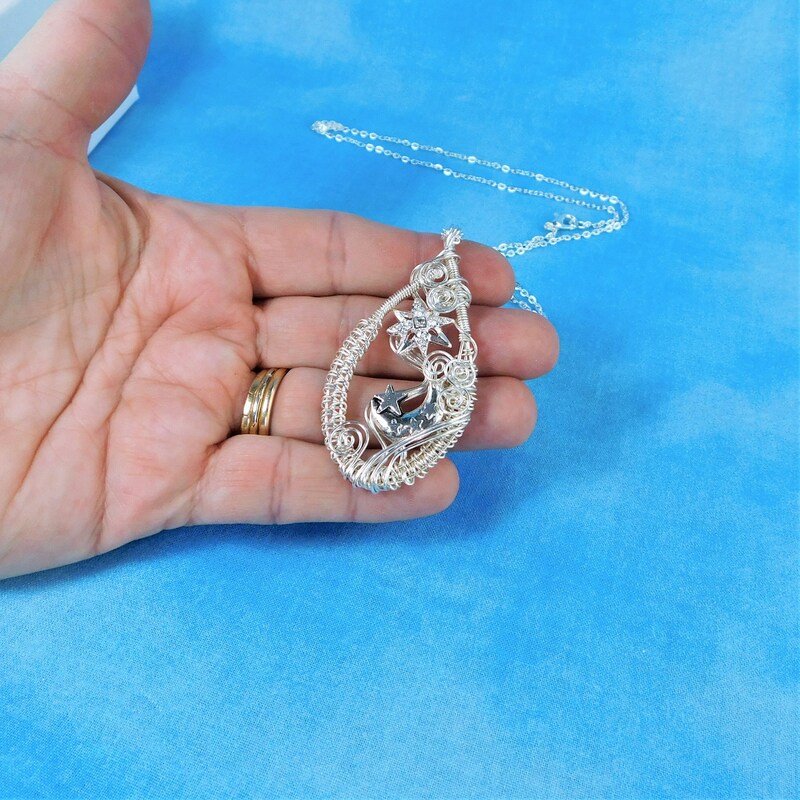 Four strands of hand woven and sculpted non tarnish fine silver over copper wire, frame a silver moon studded with stars. 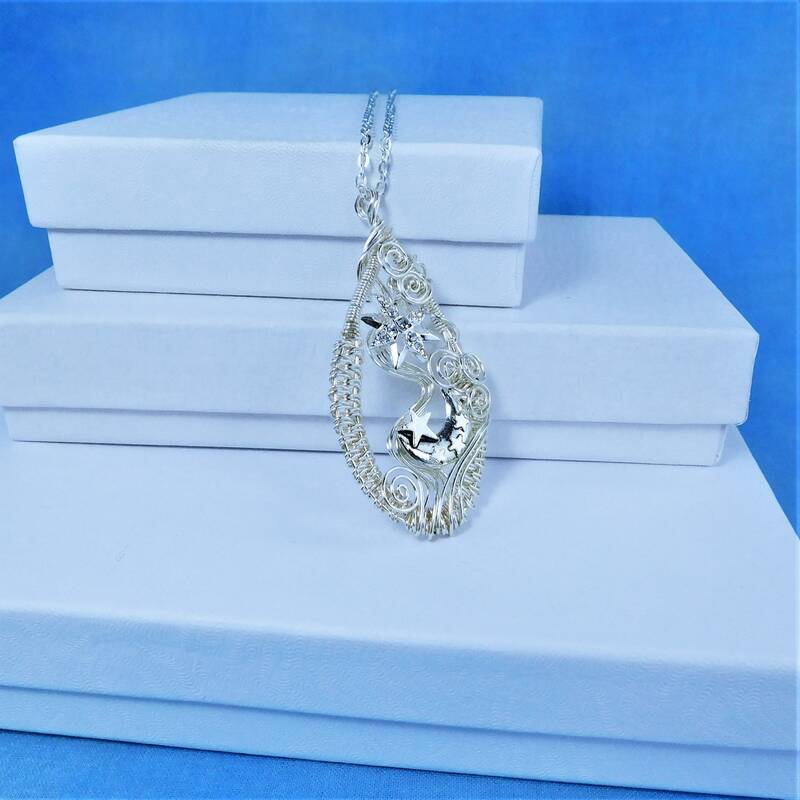 The largest rhinestone encrusted star hangs at the very top of the frame, adding twinkle and shine to this artistic universe. 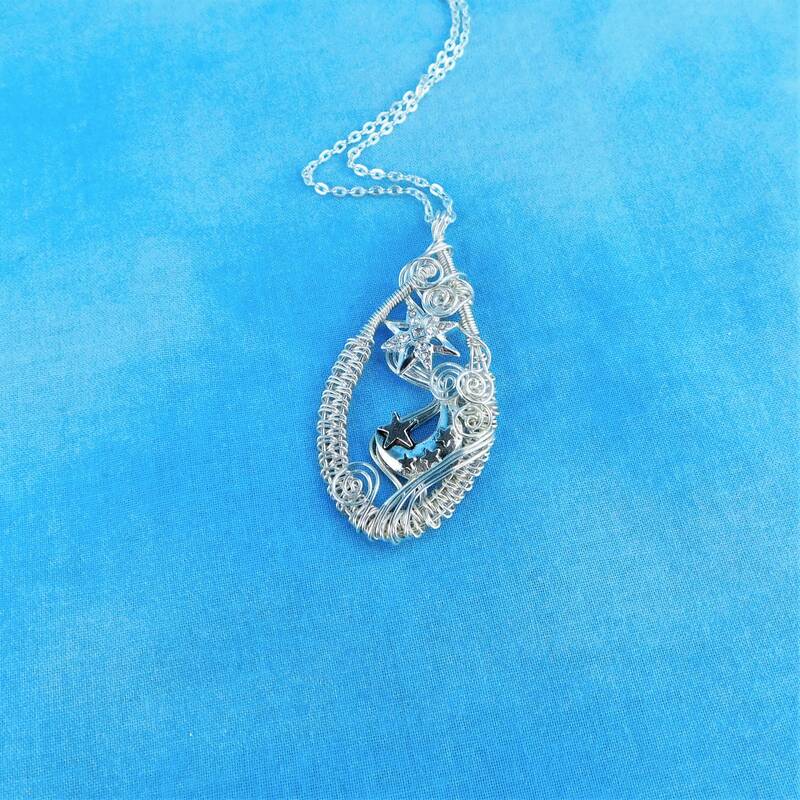 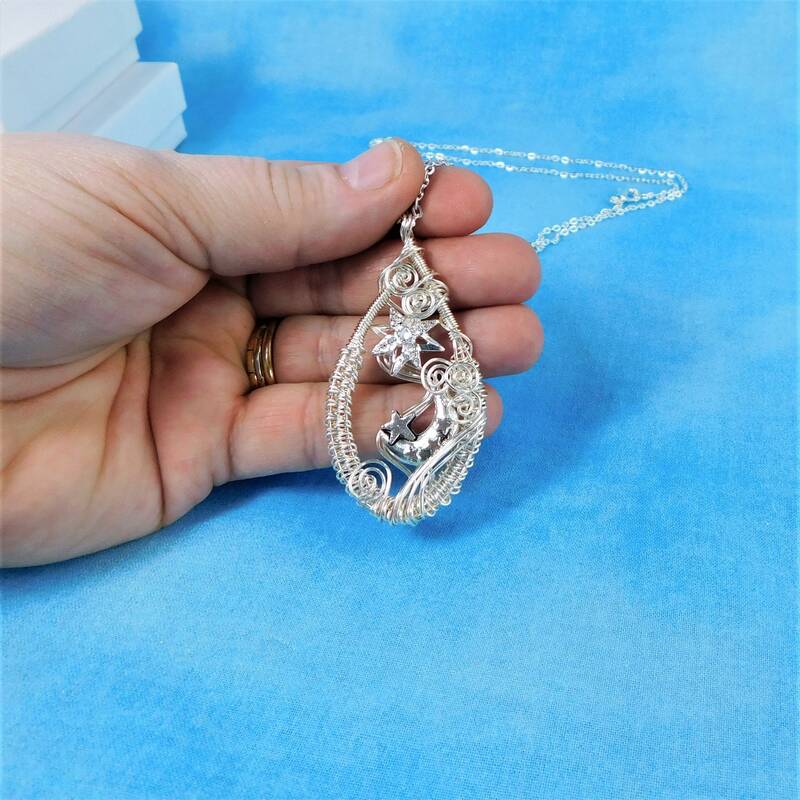 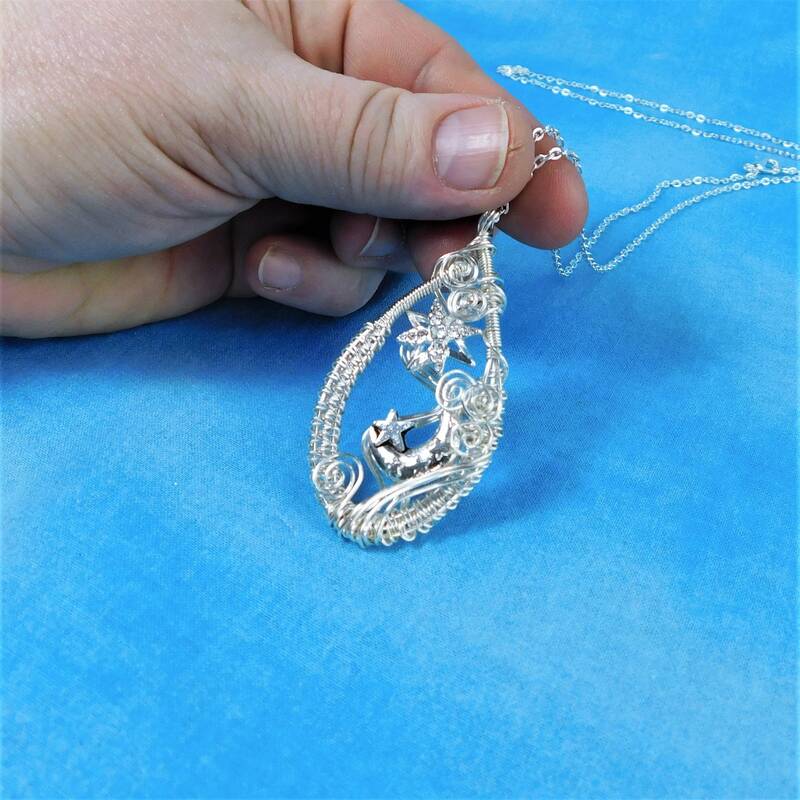 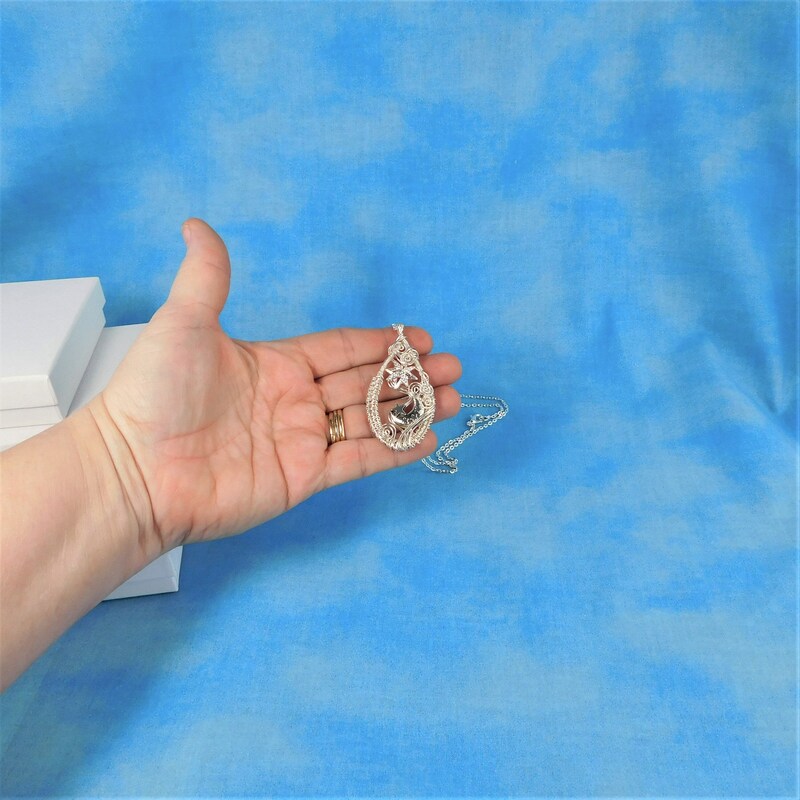 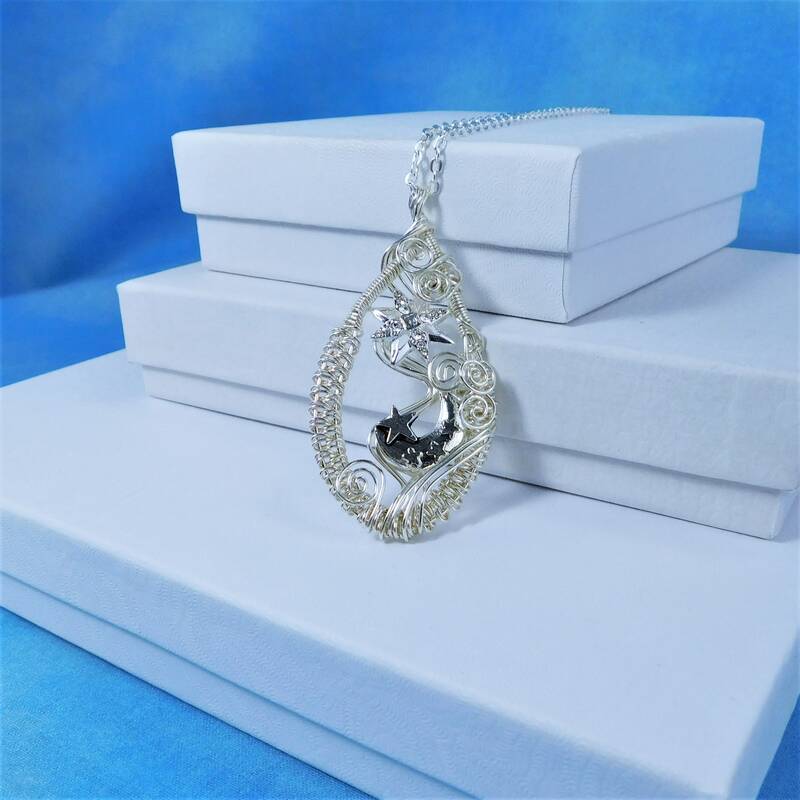 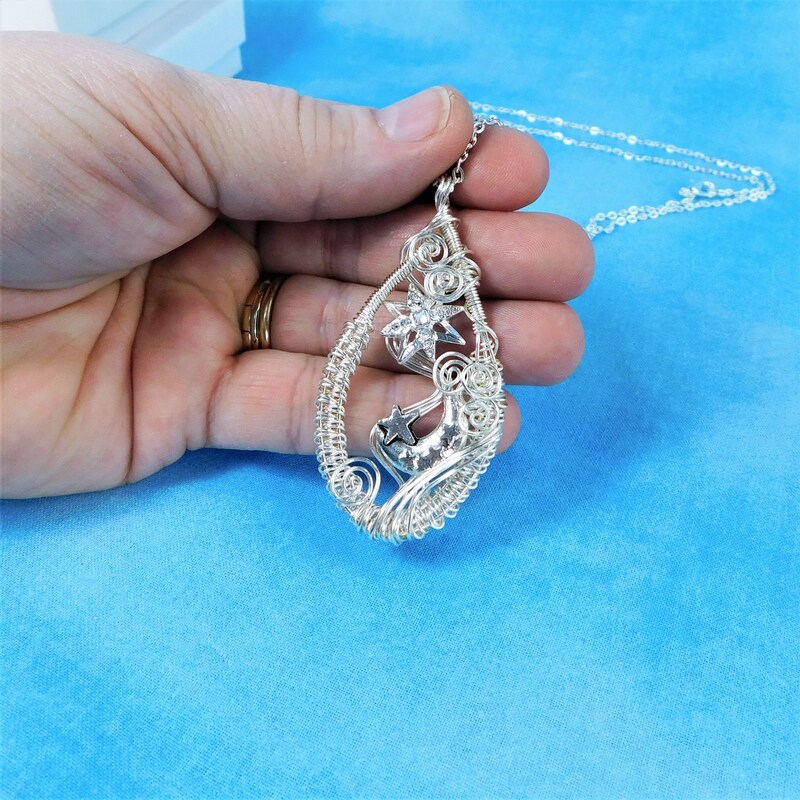 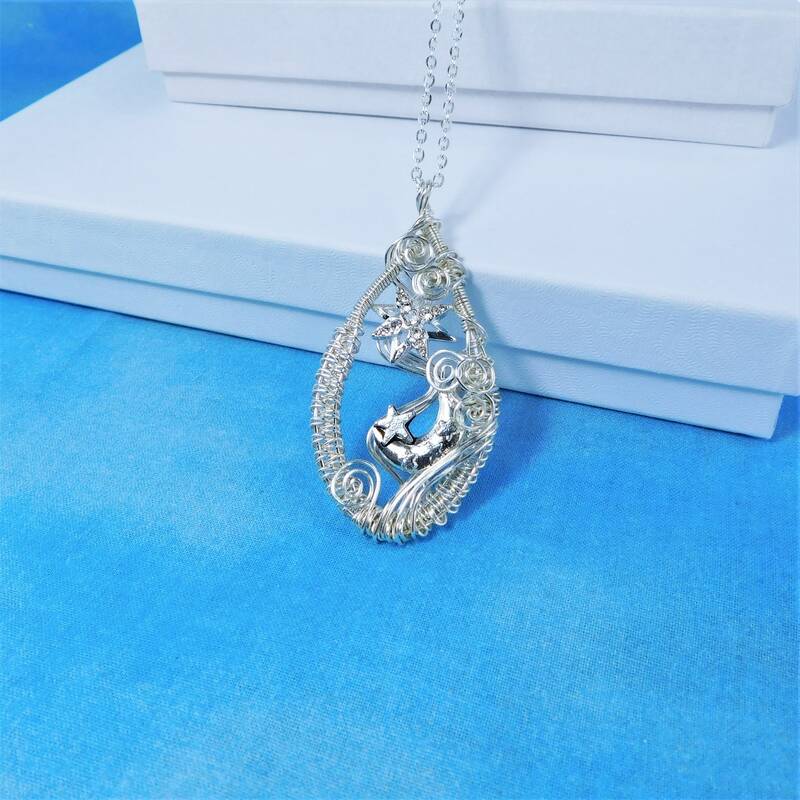 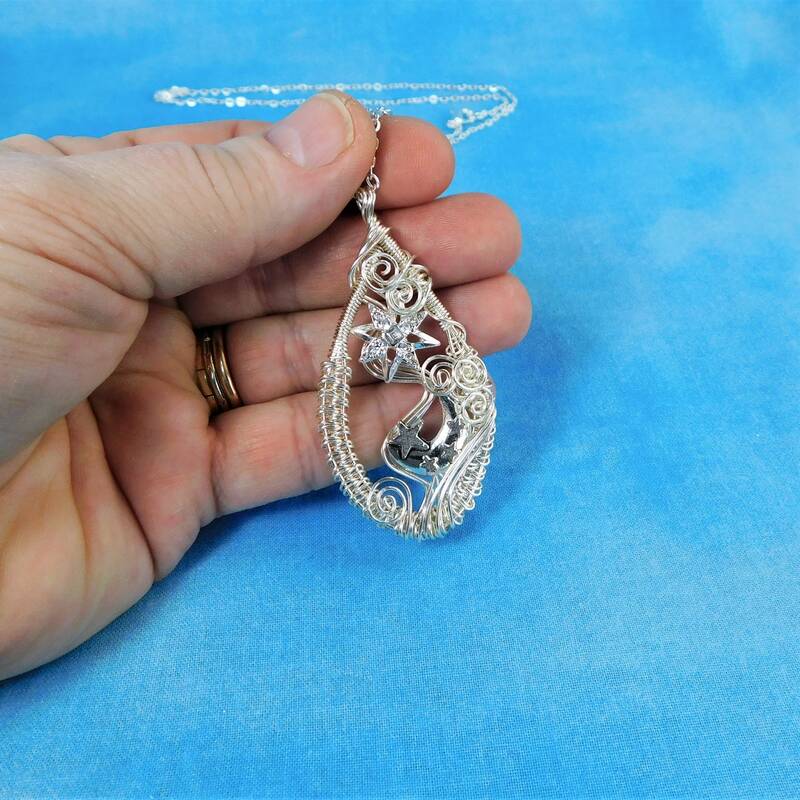 The pendant measures 2 inches by 1 1/4 inches and comes with a FREE coordinating chain with with lobster claw clasp, measured to your preferred length.